Incline belt conveyor incorporating a 500mm wide gripfaced belt running on a mild steel slider bed. 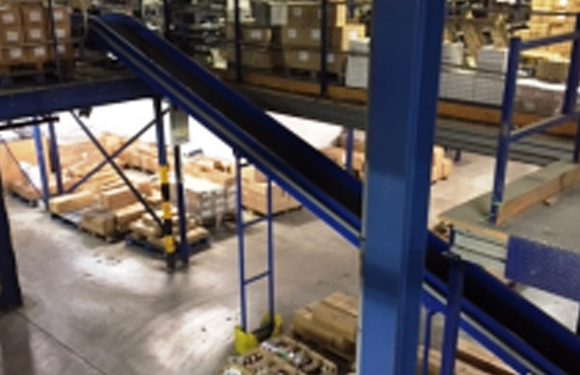 Specialists in Conveyors, Packaging Machinery and Hire. If you or your company handles materials or packaging, we can help.